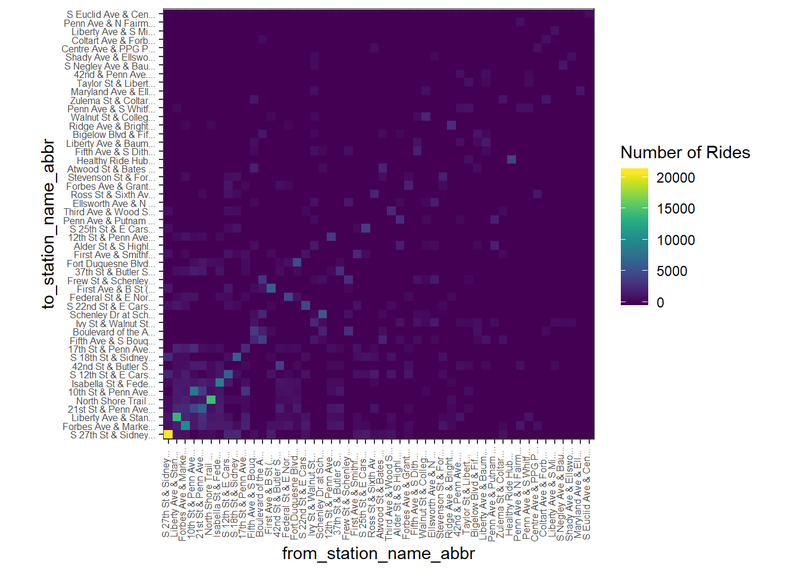 This post explores the Healthy Ride dataset using network analysis in R.
This is my second post about the Healthy Ride bike service in Pittsburgh. You can find the first post here, where I did some exploratory analysis of the data. This makes analyzing where a trip started and ended difficult. 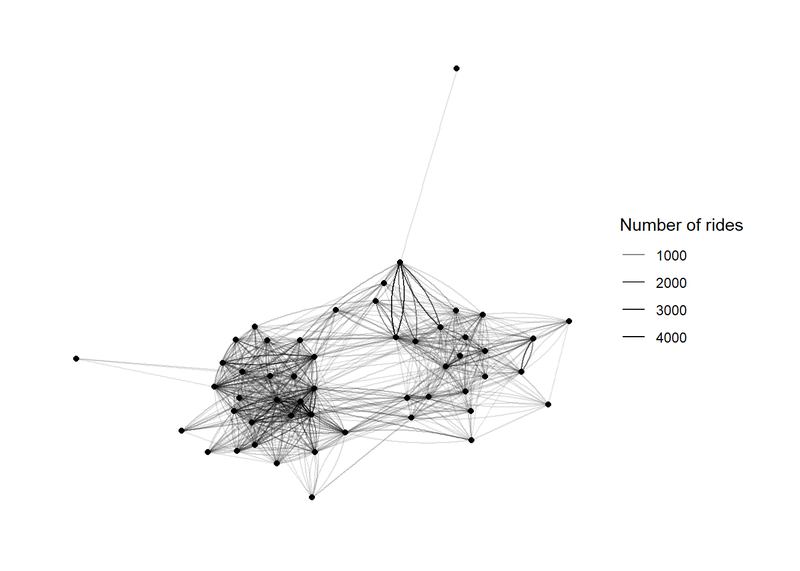 To make the data more useful for network analysis, we need to make it a bit wider. This code splits the contents of the station_name_type column into two separate columns: from_station_name and to_station_name. 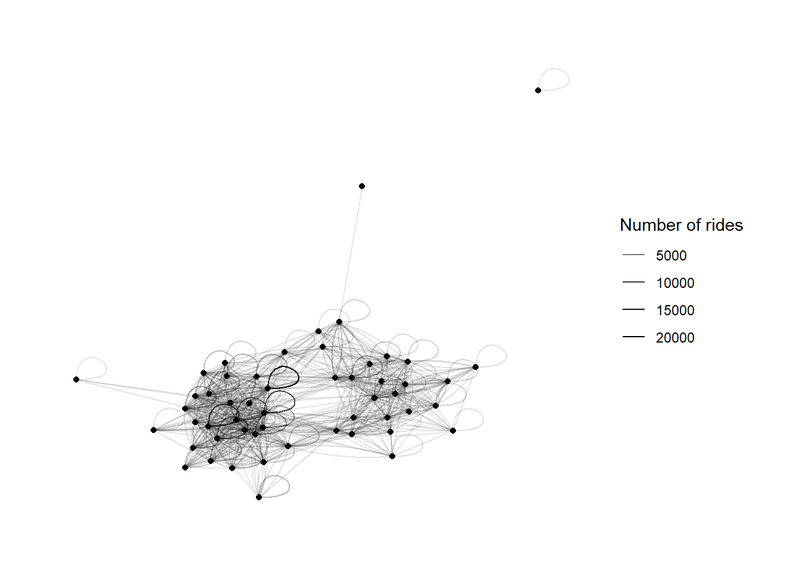 To start, lets look at the entire network. The loops indicate that the trip began and ended at the same station. This is a bit of a hairball, and is frankly not useful. Instead, lets look at how the network of stations with at least 150 connections looks. 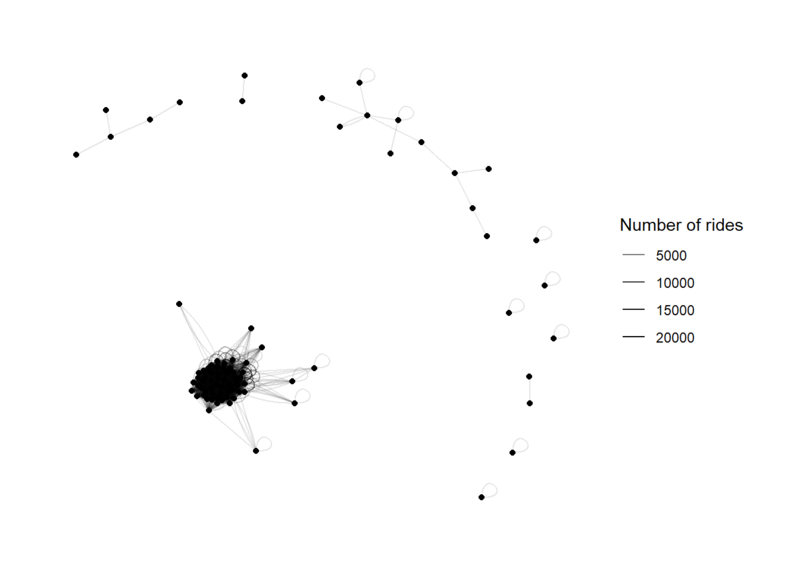 There appear to be two clusters of stations. How does the network appear without trips that start and end at the same station? The two clusters stand out more in this view. It appears that many trips start and end at the same station. 27% of all trips end at the same station they began at. 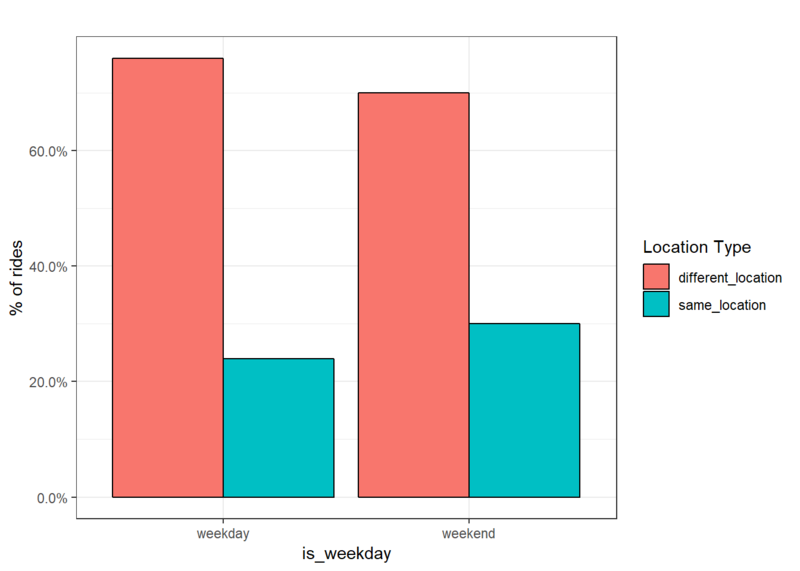 Does this pattern differ on weekdays vs. weekends? A greater percentage of trips start and end at the same station on the weekends than on weekdays. This could be caused by people commuting to bike stations via car, going for a ride on a bike trail, and then returning to the same station. 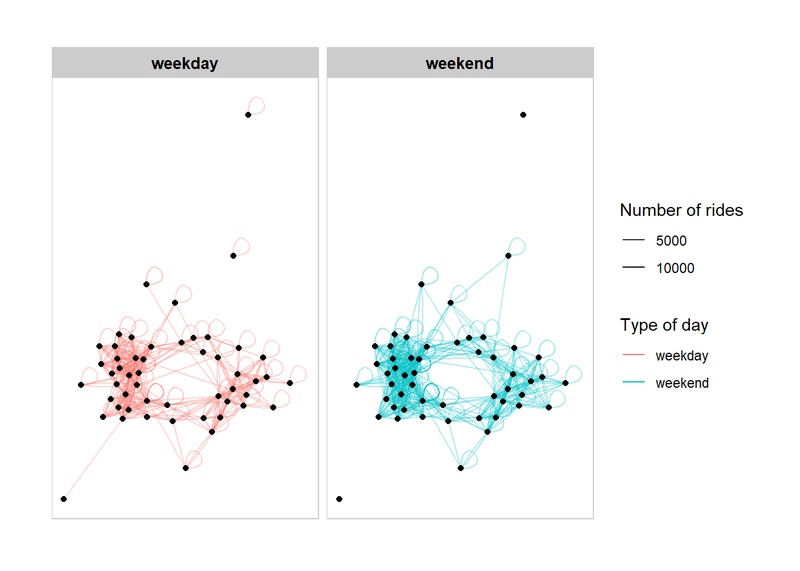 Does the network look different on weekdays vs. weekends?